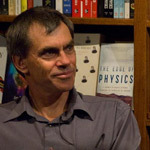 Graham Oppy is Professor of Philosophy and Associate Dean of Research at Monash University, Australia. We invited him to answer the question “What is Philosophy of Religion?” as part of our “Philosophers of Religion on Philosophy of Religion” series. While there are many other parts of philosophy of religion, the part that seems to me to be both central and of the greatest interest is the assessment or evaluation of worldviews. Not all worldviews are religious. Along with Christian worldviews, Islamic worldviews, Jewish worldviews, Hindu worldviews, Buddhist worldviews, Jain worldviews, Sikh worldviews, Daoist worldviews, and so forth, there are worldviews that are at most marginally religious — e.g. Confucian worldviews — and worldviews that are decidedly not religious — e.g. secular worldviews, naturalistic worldviews, and so forth. Nonetheless, philosophy of religion is properly concerned with the assessment of all of these kinds of worldviews. There are three major stages in the assessment of worldviews. First, there is articulation: giving comprehensive formulations of worldviews. While philosophers of religion are typically quite good at giving comprehensive formulations of the worldviews to which they themselves subscribe, they rarely make a good fist of giving comprehensive formulations of worldviews other than those to which they themselves subscribe. It is, of course, very easy to poke fun at caricatures; nonetheless, many philosophers of religion gain great satisfaction from engaging in this pastime. It should hardly need to be emphasised that, if you wish to claim that your own worldview is superior to other worldviews, you need to make sure that you are comparing statements of worldviews that have been developed with the same degree of care to the same degree of detail. Second, there is internal critique: showing that a given best formulation of a worldview fails on its own terms. Saying exactly what ‘failure on its own terms’ amounts to is not entirely straightforward: logical inconsistency–including logical inconsistency with data–is the paradigmatic case, but some may be tempted to invoke ‘incoherence’, or ‘probabilistic inconsistency’, or ‘explanatory inconsistency’, or the like. Of course, in giving an internal critique of a worldview, you should be careful not to add claims to the worldview that proponents of the worldview reject even though you accept the added claims and think that everyone else ought to accept them, too. We already know that the worldview under consideration conflicts with the one that you favour! Third, there is comparison of theoretical virtue: determining whether one worldview does better than another on the proper weighting of simplicity, fit with data, explanatory scope, predictive accuracy, and so forth. (Naturally, there is more to be said–and argued–about exactly what makes for theoretical virtue.) Here, it must be stressed that this the third stage in a three-stage process: there is no point moving to this stage if we do not have statements of worldviews that have been developed with the same degree of care to the same degree of detail that (as far as we have been able to determine) survive internal critique. In my opinion, philosophers of religion are often confused about the proper use of derivation — ‘argument’ — in philosophy of religion. Clearly, there is a proper use for derivation in the articulation stage: derivations can draw out the consequences of claims that belong to particular worldviews. Equally clearly, there is a proper use for derivation in the internal critique stage: derivations can be used to establish that best formulations of given worldviews are subject to internal defeat (‘reductio’). However, there is no role for derivation when we reach the stage of comparison of theoretical virtue, given (i) that we have sufficiently full articulations of the worldviews under consideration; and (ii) that the worldviews under consideration have survived internal critique. In particular, then, despite widespread belief to the contrary, there just is no proper role for ‘reductios’ that mix together claims drawn from competing worldviews.